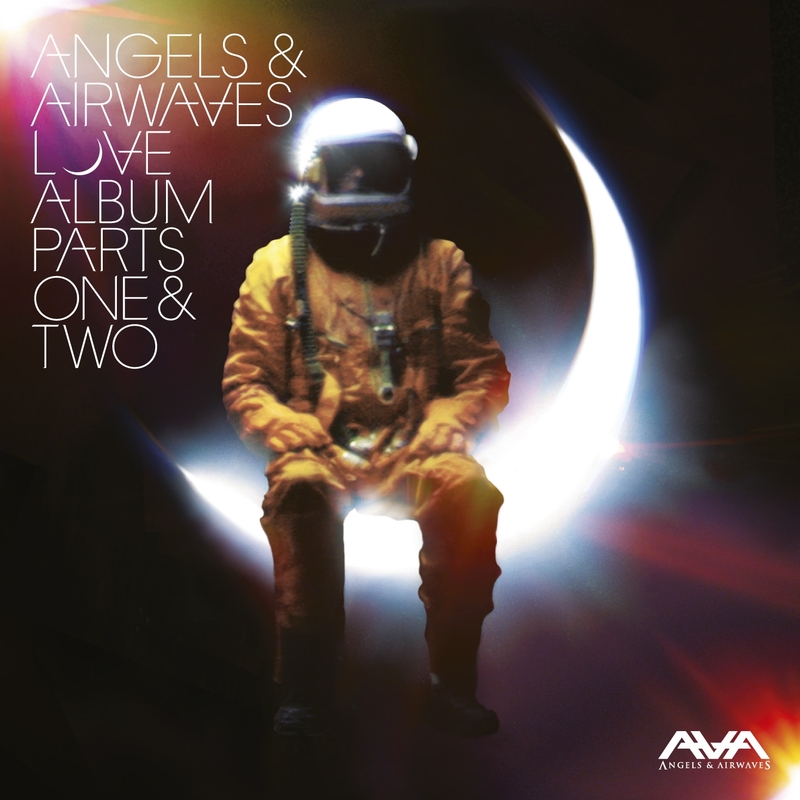 After blink-182 imploded in 2005 front man Tom DeLonge and some friends started the group Angels & Airwaves, or AVA as they call themselves short. The members are from the same scene and play in bands like Nine Inch Nails, The Offspring and 30 Seconds To Mars. Meanwhile blink-182 got back together a while ago, but still DeLonge keeps making records with AVA. There was Love a year ago, which was available as a free download in the beginning. Now Love Part Two has been added to it and the two are bundled now. Right from the start it's clear they continue down the same road: big bombastic compositions, echoing U2 inspired guitars and synths copied from the eighties. Pretentious tracks with big gestures, ready for football stadiums. Nothing new of course and no surprise with the background of the band members. But it doesn't come with a lot of creativity or subtlety. The band flies right into it on every song, is clogging everything completely with echo and effects, while the drums keeps away hammering mercilessly. It's all building up using the same recipe and sounds alike. They're missing the ingenuity of the bands they are trying to copy. In short: it's a very superficial and one sided record. It's completely unclear to me what DeLong is trying to add with AVA and this album. As a way of relieve, blink-182 is probably a lot more effective and potential creativity that he's unable to express there sure can't be found here. All songs are fully exchangeable and the album only has lows. It all sounds very unbelievable and fake, something that's more common to the emo-genre unfortunately. But even the biggest fan must be wondering what AVA is cooking up here. I can only conclude that DeLonge doesn't have enough material for more than one band. Maybe he should stick to just one hereafter. Listen to 'Keep You Close' on Spotify.